PRIME Minister Pedro Sanchez has made history in more ways than one since he famously became the first politician to unseat a prime minister last month. 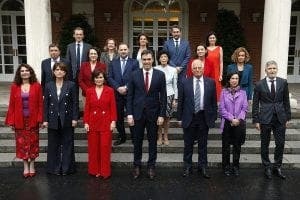 Now, ‘el guapo’ has formed a cabinet with the highest amount of female ministers in Spain’s history and currently in Europe, with 11 out of 17 appointments being women. In a bid to create a feminist, progressive and pro-European government, the Socialist leader has promoted some of the country’s most interesting and diverse female politicians. Here, the Olive Press takes a look at the rise of Sanchez’s cabinet of women. 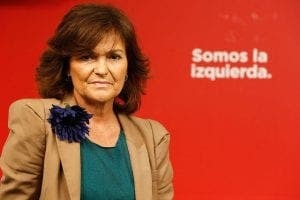 A former lawyer and PhD professor from Cordoba is a staunch feminist, who has won an award for campaigning for women’s rights. 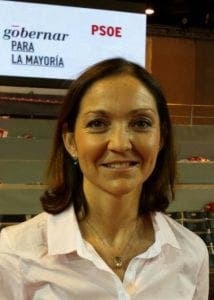 The mother-of-one served as Minister of Culture for the Junta and later held the same position in Zapatero’s Socialist government. Dubbed ‘The Whitney Houston of Congress’ after she famously had a relationship with her bodyguard, she is known for wowing red carpets with her unique eye for fashion. A veteran state prosecutor of 25 years and former journalist, the Madrilena is one of the country’s best experts on Jihadism, drug trafficking, organised crime and ETA terrorism. 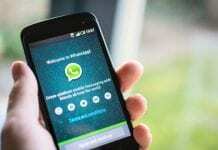 The mother-of-two prepared the arrest warrant for the late Libyan dictator, Muammar Gaddafi to try him for crimes against humanity and was lead prosecutor of ‘Operation Temple’ against Colombian drug traffickers, seeing 34 of them sentenced to nearly 500 years in prison. After studying rhythmic and contemporary dance, along with classical piano in her youth, Batet had dreamed of becoming a professional dancer until she broke her ankle and decided to study law. Batet struggled in her earlier years after she and her mother were evicted from rented homes and paid for university by working in well-known clubs in Barcelona, along with scholarships she won. She later became a professor of constitutional law. 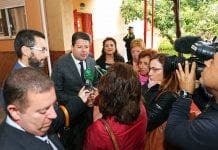 The Valencian politician has become the second youngest health minister ever. The mother-of-one studied medicine before becoming a councillor for Burjasot in 1999 and later an MP in Madrid. A keen artist, she is known for sharing her works on Instagram and made headlines last year after she cut her hair off and donated it to cancer patients. 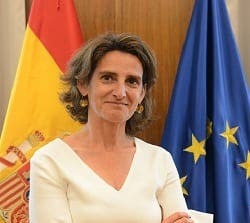 The León-born judge became the first woman to ever preside over a court and became the fourth female judge in Spain at the young age of 25. 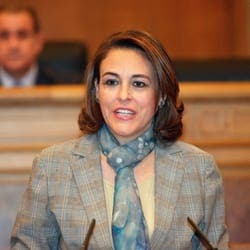 Between 1994 and 1996 she served as Secretary of State of the Interior Ministry. Serving in the Junta for 16 years, the mother-of-two from Sevilla has a degree in medicine. During her time heading up the Ministry of Health, new regulations were introduced around dignified death and genetic counselling. 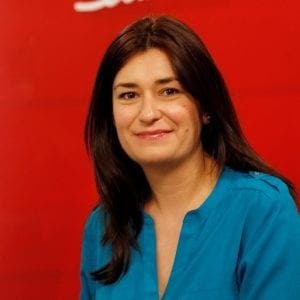 Born in Bilbao, Dieguez served in the Basque Parliament for a decade. 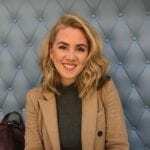 The former English literature professor and mother-of-two has a degree in philosophy and law and implemented trilingualism in an educational system, which always focused on teaching Basque as a priority. She has had essays on English literature and poetry published. 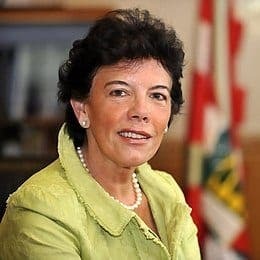 Cordero, a former lawyer from an Extremaduran pueblo, developed most of her successful political career in Guadalajara where her father, a Guardia Civil official, was positioned. There, she had a successful career in regional politics from 1999 before overcoming her biggest struggle when she beat breast cancer three years ago. 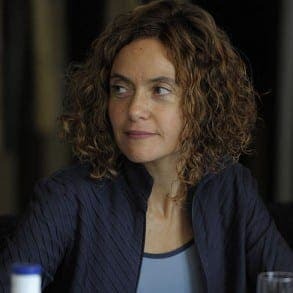 Currently upholding a position as professor of economics at the Carlos III University of Madrid, the Valladolid-born feminist has also been the Socialist deputy of Madrid since 2015, as a spokeswoman for budgets, economy, employment and finance. 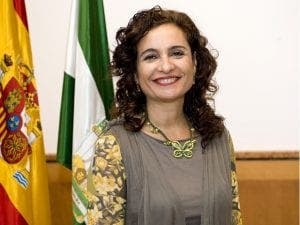 A law graduate and mother-of-three led the Youth Movement for Peace, worked for the European Association for Nuclear Disarmament and was the director of the Spanish Office for Climate Change for four years. Rodriguez – dubbed a ‘perfectionist’ by friends – also led the Institute for Sustainable Development and International Relations – the most powerful European think tank on climate change. 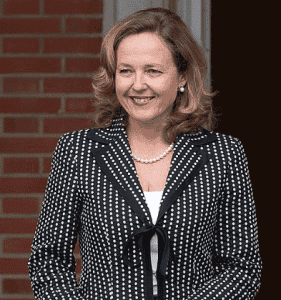 Until now the mother-of-four has held the position of general director of the European Commission Budget and is a strong Europeanist. The Galician law graduate also worked as an economics professor at the Complutense University in Madrid. 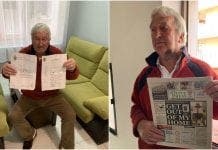 Previous articleAre Spanish valuations worth the paper they are written on?